Motiva Breast implants are not approved by the FDA for use in the United States. Like all drugs and medical devices, such approval only occurs after a rigorously conducted study. That trial is underway and Dr. Teitelbaum is one of about twenty-five selected plastic surgeons nationwide offering these implants to a limited group of research subjects. The study commenced in April 2018 and will conclude after 10 years after enrollment is complete, which is expected to be by the end of 2018. Participating subjects will receive the breast implant devices without cost for the subject, but all other associated costs such as the fees for the surgeon, anesthesiologist, laboratory tests, and operating room remain the same. Subjects will also receive compensation throughout the study according to the trial plan, over the ten-year period when completing their annual visits. Click here for details of the patient compensation program. There has been substantial experience with these implants in over 65 countries outside of the United States since their introduction in 2010. The purpose of this study is to determine the safety and effectiveness of the Motiva Implants® Silicone Gel-Filled Breast Implants, SmoothSilk®/SilkSurface®, both Round and Ergonomix® in women who are undergoing primary and revision breast reconstruction and augmentation. Safety information on the rate of complications, such as infection, will be collected and used to help determine study device safety. Motiva breast implants are considered an investigational device in the USA and subjects will be participating in a clinical trial reviewed by the FDA. A subject can only receive these implants if she participates in this 10-year clinical trial. While there is financial compensation for participating, there is also a very long list of requirements and restrictions. A few of those are: a subject must be over 22 years old; a genetic female; make a commitment to comply with the numerous study requirements; be willing to undergo an MRI if requested, agree to have implants returned to the manufacturer if they are ever removed; and must live close to a participating physician’s office and guarantee returning for annual follow-ups for ten years. See below in FAQ section for a complete list of inclusion and exclusion criteria. Click here to view details of the financial compensation. What are the Inclusion Criteria for the United States Motiva Study? Primary Breast Augmentation: age 22 and over, indicated to increase breast size. Primary Breast Reconstruction: to replace breast tissue that has been removed due to cancer, prophylactic mastectomy, breast trauma or that has failed to develop properly due to a severe breast anomaly. Breast Implant Revision Surgery: (removal and replacement of breast implants) revision surgery to correct or improve the results of a previous breast augmentation or reconstruction surgery. Willingness to follow all study requirements including agreeing to attend all required follow-up visits and sign the informed consent. Agrees to have device returned to Establishment Labs if explanted. Has any condition that impedes the use of magnetic resonance imaging (MRI) including implanted metal device(s), claustrophobia or other conditions that would make MRI scan prohibited. Works for Establishment Labs, Motiva USA or any of their subsidiaries, the study surgeon, or ICON the Contract Research Organization (CRO) that is helping to conduct the study or are directly-related to anyone that works for Establishment Labs, Motiva USA or any of their subsidiaries, the study surgeon, or the CRO. How many Motiva Implants have been used? The exact number is not available, but Motiva implants are sold globally. In 2018 the countries using the most Motiva implants were Brazil, Sweden, and Germany, and are sold in over 65 countries. They are rapidly gaining popularity in countries that are the most sophisticated about plastic surgery, such as South Korea and Brazil. What is the financial compensation for participating in the trial? Breast Implants without no cost - On the day of surgery, one pair of Motiva Implants® will be provided without a charge. Bonus Cash Payments for all follow-up visits - All the subjects participating in the clinical trial will receive follow-up paid consultations with their treating surgeon. Additionally, they will receive a cash bonus as described in the table below, to be paid to the Patient after each follow-up visit for a total amount of US $2,150 over the 10 years. Trust fund - After your first annual follow up visit (Year 1), we will deposit into a trust fund the full amount of $750 , corresponding to the total of all trust fund installments noted in the table below. With every annual follow up visit you will vest the corresponding amount in the table below into your trust and will receive the total amount after completing the 10 year follow-up. There are videos on the Motiva Implants global website, not specifically addressed to the US market that show some of the differences with this implant. Establishment Labs, the manufacturer of Motiva Implants ™ was incorporated in 2004 in Costa Rica, which is a manufacturing hub for many many American medical device companies, including heart valves and another breast implant manufacturer. The company entered the European breast market in 2011 and its products are available throughout the world. Operating in London with Dr. Marcos Sforza, who has published the world's largest series of Motiva breast implant patients. 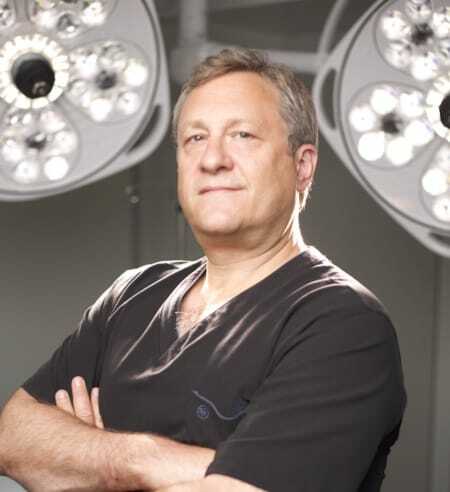 Dr. Teitelbaum is an international authority on breast implants. A breast implant clinical trial requires a plastic surgeon, their office, and each patient to follow very specific protocols and he and his personnel already have extensive experience and expertise in this area. 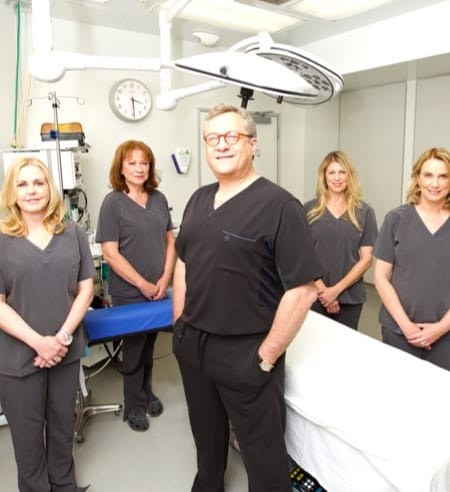 While Dr. Teitelbaum believes that breast implants have a meaningful effect on the result of a breast augmentation, he also believes that other factors have an even greater effect, such as patient education, proper planning, implant size and dimension selection, precise surgical technique, anesthesia, etc. So whether you get this implant or another implant from Dr. Teitelbaum, it is his expertise as a breast surgeon that will make the biggest difference in achieving outstanding results. Dr. Teitelbaum lecturing in Italy about Motiva breast implants. 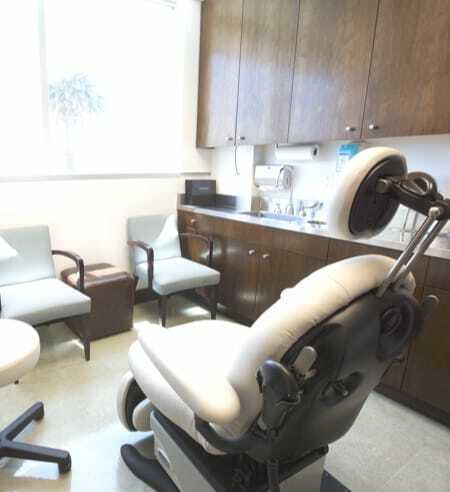 Dr. Teitelbaum embraces new technology only after careful consideration. It was only after visiting the factory several times, using the implants overseas, and speaking to European colleagues who had been using the implants that he decided to become a paid advisor on the Motiva Medical Advisory Board and to use these implants in the US clinical trial. He has lectured about Motiva Implants to surgeons in Central America, and Europe, and was one of the central figures in designing the experimental protocol for this study. Spending a day in the operating room with Motiva Study Medical Director Caroline Glicksman, the late Dr. Scott Spear, and Dr. Manuel Chacon. Just finishing my first Motiva case in Costa Rica with Dr. Manuel Chacon. What are the key features and innovations of Motiva Implants? The following are marketing terms used by Motiva for their breast implants. They are provided for thoroughness and interest but they should not be taken as medically proved issues. There are videos on the Motiva Implants global website, not specifically addressed to the US market http://motivaimplants.com/products/videos/ which demonstrate some of these features. TrueMonobloc(R) – Refers to matching the strength and elasticity of all parts of the implants so that it behaves as a single, natural unit. SmoothSilk® Surface – designed to be highly biocompatible and provoke a minimal response in the tissue surrounding the implant, as well as having surface characteristics that diminish to some degree the growth of bacteria (biofilm). BluSeal™ - one of the layers of a breast implant shell minimizes silicone diffusion. This is a very important component of an implant and so Motiva gave theirs a blue tint so that surgeons could verify its presence. ProgressiveGel™ Plus – the gel in the round implant which helps maintain upper pole fullness. ProgressiveGel™ Ultima™ - the gel in the Ergonomic implant which is designed to adopt a more anatomic shape with the softest feel. TrueTissue Technology™ - using specially designed silicone gel characteristics so that the implant has a compression resistance and feel that mimics a woman’s own body. Ergonomix™ -probably the most unique implant made by Motiva that is designed to achieve maximum projection in the lower pole of the breast implant. Q inside Safety Technology™ - the first breast implant to have a radio-frequency micro-transponder embedded within it so that in the future surgeons can wave a reader on the outside of a patient’s body and receive detailed information about the implant. Is The Trial Right For You? This trial is for subjects who believe that there are benefits to participation, while at the same time appreciating that there may be risks that are currently unforeseeable. You must be willing to comply with all the requirements, and in particular absolutely commit to the ten annual follow-up visits. You will be provided with a Subject Information and Consent Form with additional information. Please take the time to read this form thoroughly, and discuss it with your family, friends and/or regular doctor. What kind of implants are available if you choose to participate in this study? The Motiva Implants® Silicone Gel-Filled Breast Implants, SmoothSilk®/SilkSurface®, both Round and Ergonomix®, are composed of: a silicone shell and shell barrier layer with blue pigment (BluSeal® technology), patch, and silicone gel fill. The shell has a singular smooth surface that is different from other commercially available breast implants. The SmoothSilk®/SilkSurface® Implant also may or may not include a RFID microtransponder, which is a device placed in the breast implant filler material. This microtransponder is a radiofrequency identification system that uses electromagnetic fields to automatically identify and track tags attached to objects. RFID uses the low-end of the electromagnetic spectrum. The waves coming from readers are no more dangerous than the waves coming to your car radio. Two styles of Motiva Implants® Silicone Gel-Filled Breast Implants (in multiple size ranges) will be used in this study: the SmoothSilk®/SilkSurface® Round ProgressiveGel™ Plus breast implants and the SmoothSilk®/SilkSurface® Ergonomix® Round ProgressiveGel™ Ultima® breast implants. Study doctors, in consultation with each subject, will determine the appropriate style and size for each subject. Both shells are manufactured with the same silicone materials, and the shells will be filled with two types of silicone gel. What scientific data is available about results with Motiva Implants? In 2017 a study of 5813 patients was published, and it showed a very low complication rate compared to other studies. This was an independent study, not subject to the rigors of FDA oversight. It was published in an important peer – reviewed journal.